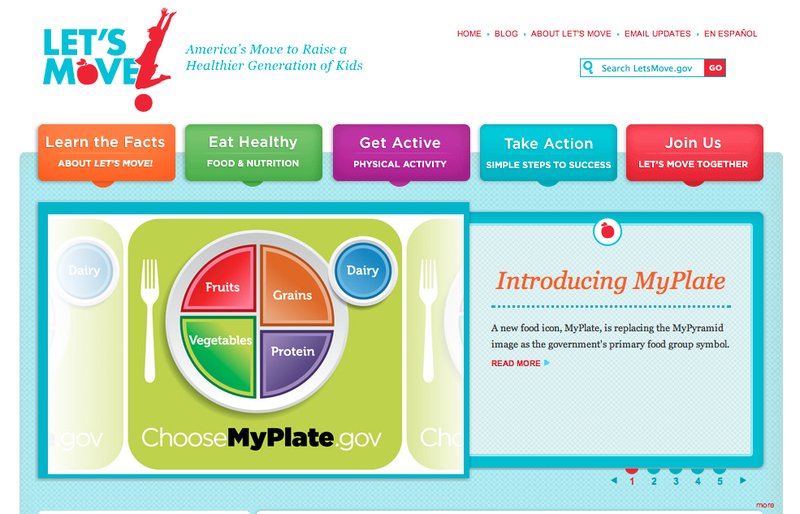 A bright, friendly site to support the First Lady’s campaign to fight childhood obesity, Letsmove.gov provides information on health, nutrition, and exercise for children and teens. This clean, bright, easy to use site is colorful, looks fun, and inspiring. The site navigation is clear, and the site is devoid of the usual government site clutter, making it quite attractive. A robin’s egg blue textured background helps frame the content, but there is still plenty of white space. The rounded corners and bright colors lend an almost cartoony fun quality. Children, their parents, schools, community leaders, chefs, elected officials, and healthcare providers. The site even has a page with information for each specific audience. It was easy enough to find “reviews” with basic site stats and figures similar to but not as extensive as the Woo Rank link, and it was easy to find reviews of the Let’s Move program, but the team could not find any actual reviews of the site.